5 extra pages to go with our Banknote Display Album (pid:1751). 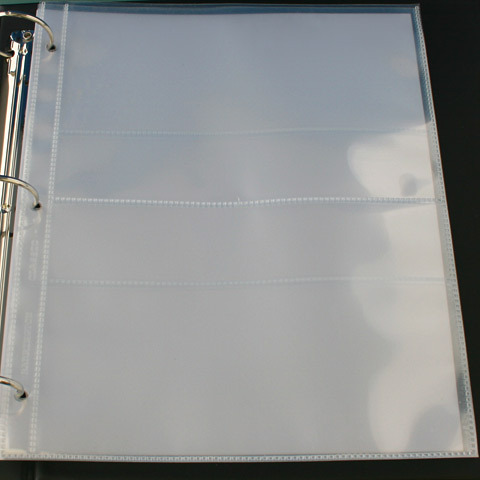 Each pack contains 5 polypropylene pages, suitable for 3 ring binders. Each page holds 2 large size banknotes - up to 217mm wide x 135mm high each. 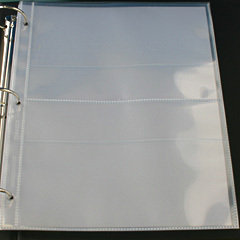 (asstd pages in album illustrated).